Here we are at the end of a beautiful summer and what a summer it has been. 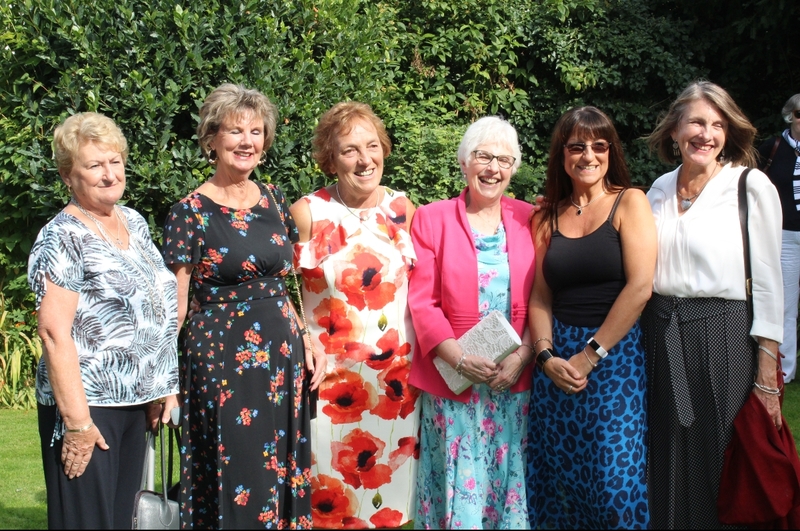 If you’ll allow me a little self indulgence ( I promise a patchwork item at the end), I personally have had a memorable time as we celebrated our Golden wedding anniversary in August, and it was a very special day. We invited our family and close friends, especially the guests that had been at our wedding 50 years ago, sadly many had passed but there were a few left. 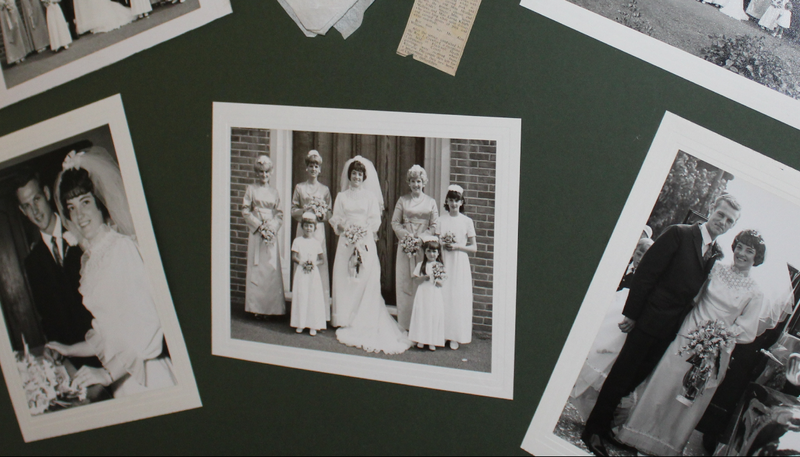 On that special day in 1968 I had six bridesmaids, some I hadn’t seen in a while, but always kept in touch. Invitations were sent out early in the year not to clash with summer holidays and five of them accepted our invitation, unfortunately one was going to be on holiday. We were very excited and couldn’t wait for the day. The day arrived, and the sun was shining just like it did 50 years ago, and we all met at our local country pub for a celebration lunch. It was so lovely greeting everyone and catching up and we had a truly memorable day. My daughters had urged me to get my wedding dress out of the loft for the day..really?…they borrowed a mannequin and it was suitably placed in the pub along with a few photos of the day. It was my ambition to replicate the bridesmaid’s line up which was such a happy moment.Can you spot which bridesmaid is missing? 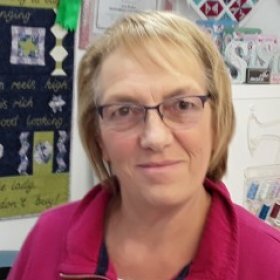 Now for the patchwork bit…When Helen from British Patchwork & Quilting magazine put a call out on UKQU Facebook page requesting stories for British Patchwork & Quilting magazine, my ears pricked up. After giving it some considerable thought…about 2 minutes..I replied. They were interested in stories about where you began your patchwork journey and where you are now. Having started patchwork about 20 years ago I thought I’ve been on this road for sometime, I’ll give it a go. Luckily I always take photos so delved into the pc gallery and sorted some old photos. I was a little worried about what to write, but once I got started I thoroughly enjoyed it. It took me down memory lane and I remembered lots of happy times meeting some wonderful and inspiring ladies. I submitted my story and surprisingly they were going to publish it in the October issue. 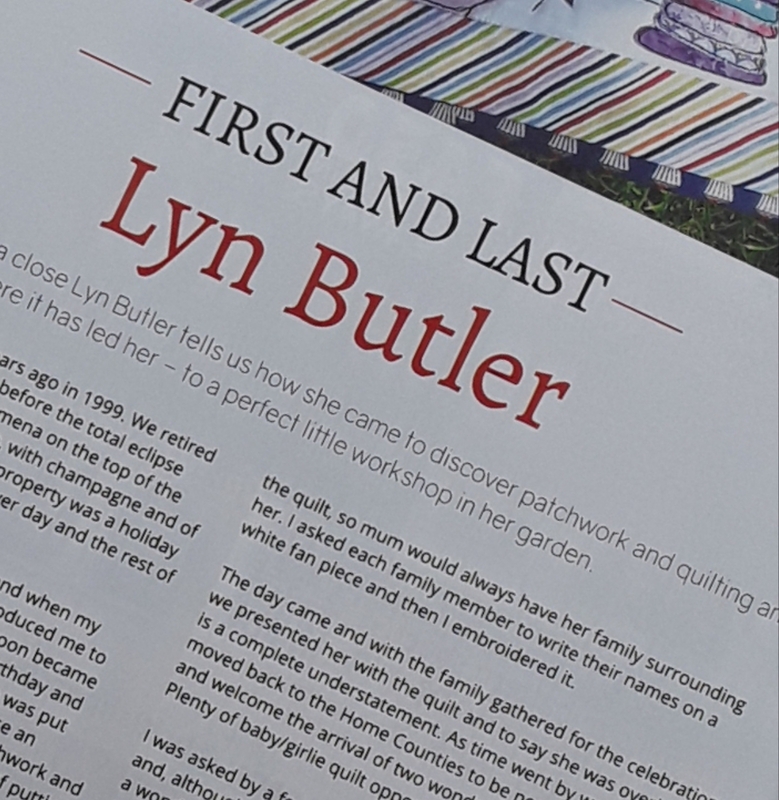 The due date arrived and I called into Smiths to purchase the magazine and was a little surprised to find a double page spread, I was half expecting a little corner of the page. We rushed home to read it, hubby was very impressed and the family loved it too. 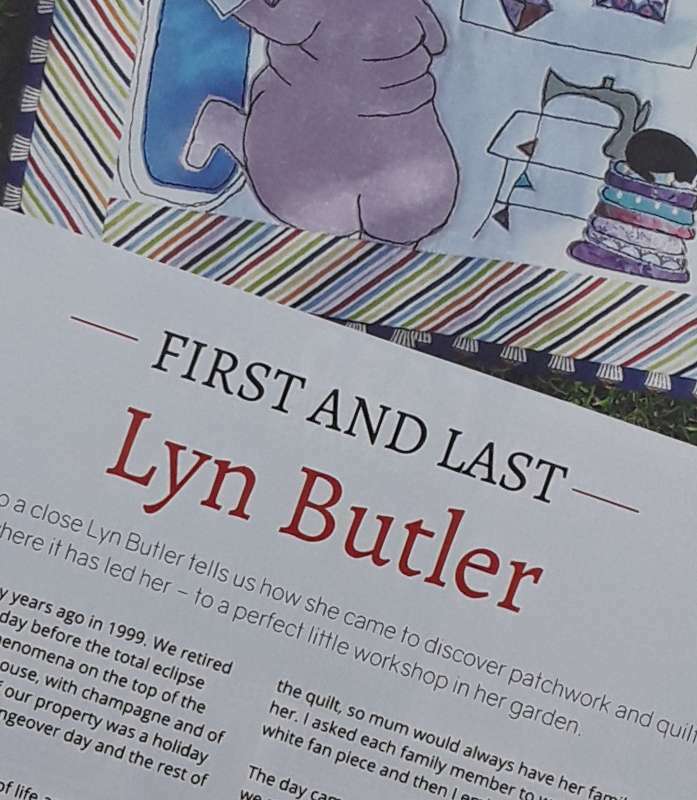 Thankyou to British Patchwork & Quilting for my 15 minutes of fame.